It’s been a long time coming but at last Brits can enjoy direct flights from London Gatwick to Costa Rica – dubbed the world’s happiest country – thanks to Thomson Airways. 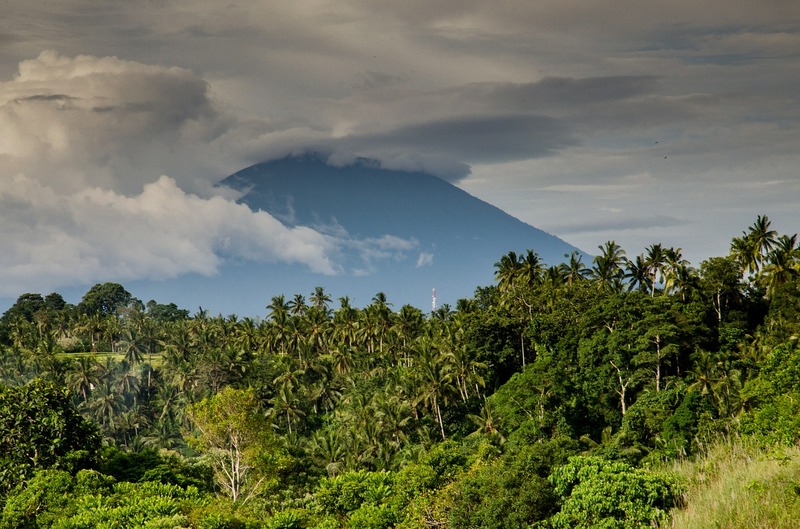 The weekly service starts in November 2015 but what can you expect from this lush Central American country? For one thing, though it is not the world’s biggest country, it has five per cent of the world’s biodiversity, across four mountain ranges, 800 miles of coastline, 200 volcanic formations and hundreds of national parks, that are easy to get to from the capital, San Jose. One day you could be climbing through cloud forest and be visiting an active volcano the next, and later taking time out relaxing on a pristine white beach of bathing in natural hot springs and living the cowboy life on a working ranch. But most people head here to get close to wildlife, notably cuddly sloths, white faced capuchin monkeys, howler monkeys and hundreds of tropical birds including the gorgeous quetzal – called by some birdwatchers the most beautiful bird in the world. Costa Rica prides itself on its green credentials and this, together with its peaceful democracy (it has had no army since 1948) and abundance of natural beauty has earned it the name ‘the world’s happiest country’. Where happier to get close to nature than in one of the country’s eco-lodges. They are found throughout Costa Rica, many in lush jungle in the south near the Pacific Gulf. Increasingly sophisticated with good food, stylish accommodation in wooden cabins and the opportunity to experience nature first-hand they allow visitors to make minimal impact without sacrificing creature comforts. 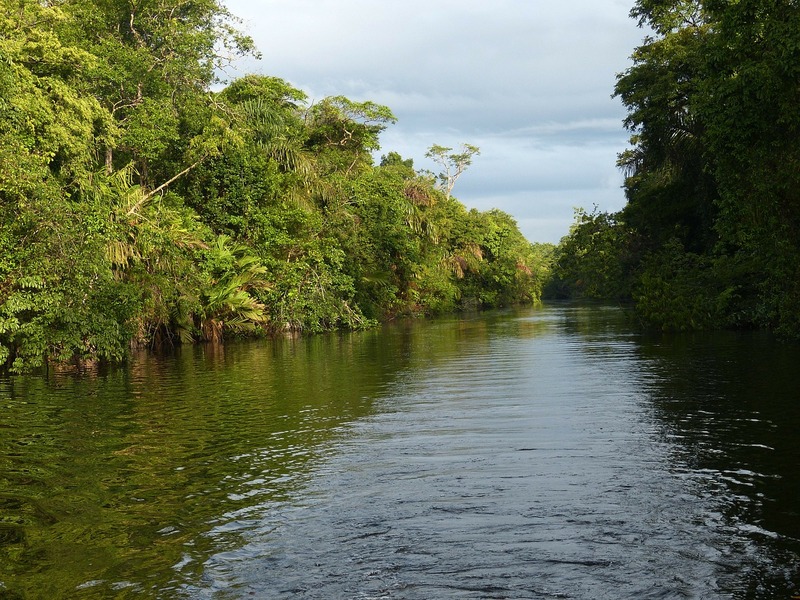 Early morning tours let you see the rain forest wake up and leisurely kayak tours take you past rich mangrove forests alive with snakes, crocodiles, monkeys galore, sloths and toucans and parrots. Many offer activities including fishing, yoga and chocolate making. Using beans from the forest, the staff at one lodge, which is built on the site of a disused cocoa plantation, shows guests how to peel, roast and grind the cocoa before cooking with sugar to make a delicious chocolate paste which can be rolled or formed into lovely sweets. They taste best washed down with a cup of finest Costa Rican coffee. Monteverde’s rare ecosystem is internationally famous as one of the most extensive cloud forests in Central America. At 5,900 ft., this natural sanctuary has more than 2,500 different types of plants and animals, including 400 species of birds. Guided natural history walks take you through the Monteverde Reserve which is home to jaguars and pumas. 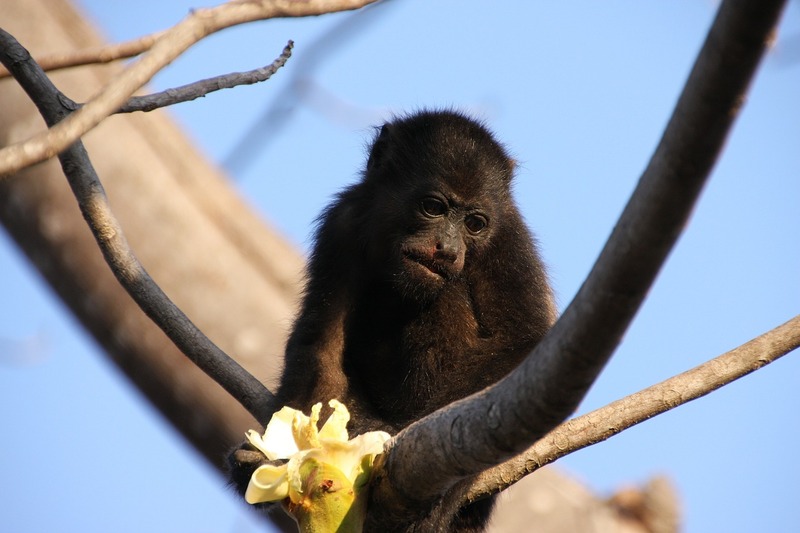 There’s also a zip-line tour of the reserve where you look down on mammals such as the fuzzy martilla. But the best way to see the lush cloud forest and its inhabitants is by walking on hanging bridges which take you alongside the canopy of trees. In the early 1950s, a group of Quakers from the United States left their homes in Alabama and arrived in Monteverde at a time when the region was just beginning to be settled. The Quakers, fleeing the United States to avoid being drafted into the Korean War, and attracted by the fact that Costa Rica had no army, established a simple life in Monteverde centred on dairy and cheese production. Some of these families helped establish the Monteverde and Santa Elena Cloud Forest Reserves some 20 years later. To this day they have an influence on the region, including owning hotels. The pretty town of St Elena looks like a Swiss village nestling beneath the misty mountains and has lively restaurants, hostels and bars filled with hikers and bird spotters. The cattle ranching region of Guanacaste is also home to the Rincon de la Vieja volcano, a thermally active area. Adventure junkies will thrive on the activities on offer here from zip wires, Tarzan swings, white water rafting, canyoning, tubing and horseback riding after which a dip in the hot natural springs provides a welcome relief to aching limbs. On the edge of the national park wannabe cowboys can stay at working cattle ranches with real hacienda style accommodation available and all the adventure tours on the doorstep. The Pacific Coast has some beautiful beaches with conditions that offer some of the best surfing in this part of the world. Towns such as Nosara are packed with bright driftwood signs pointing to surf shacks and sunset bars. Beaches have an abandoned Robinson-Crusoe feel with rickety shelters constructed from wood and sticks with covers of dried palm leaves. There are some upmarket resorts in this part of the country with Hollywood celebrities spotted sipping cocktails and admiring the views. Costa Rica also has a Caribbean coastline, which has a different atmosphere with a cultural mix of Afro Caribbean, Tico (the 0name Costa Ricans give themselves) and old hippy vibe. Puerto Viejo has recently become a hit with tourists and has stunning white-sand beaches, tropical vegetation and is close to parks including a Sloth sanctuary. Most visitors to Costa Rica enter via the capital San Jose, but until recently not many of them chose to linger. Narrow streets, poor air quality and run-down neighbourhoods gave the city a bad name, but now it is regaining some of its old world charm and has several points of interest. Start with the imposing St Joseph’s cathedral and then head to the imposing The Teatro Nacional built in the style of the Paris Opera from money raised by the coffee tax. Although tickets to see top shows can cost hundreds of dollars, on Wednesdays you can see a half hour taster performance of music, theatre or some other performance for just one dollar. Afterwards have a cocktail or coffee at the lovely Waldorf Hotel, the first hotel in the city to be built exclusively for tourists in the 1920s. From November 2015, Thomson Airways will be the only airline operating direct flights from the UK to Costa Rica. Flights from London Gatwick to Liberia will operate weekly using 787 Dreamliners. 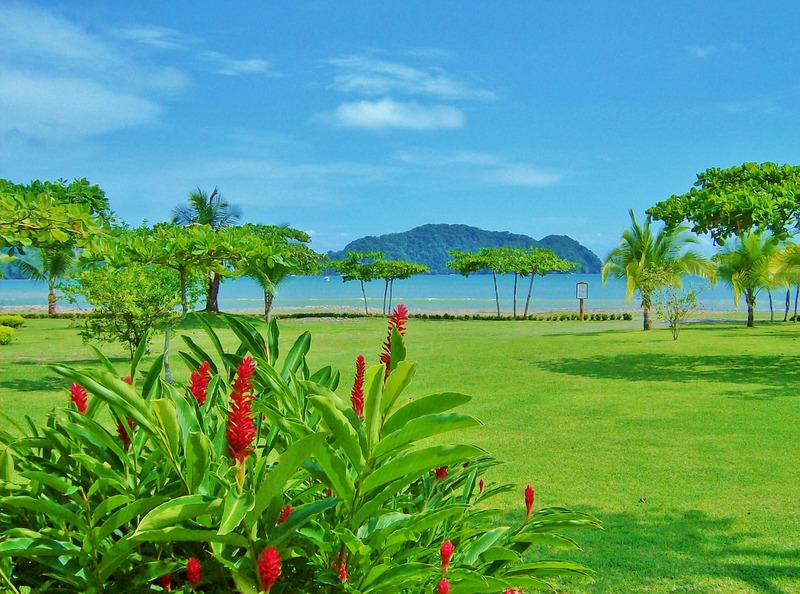 Costa Rica has two seasons; the Dry Season from December-April and the Green (or Rainy) Season from May-November. However it doesn’t rain all the time during the Green season – showers tend to be brief – and this can be a pleasant, and more affordable, time to travel. 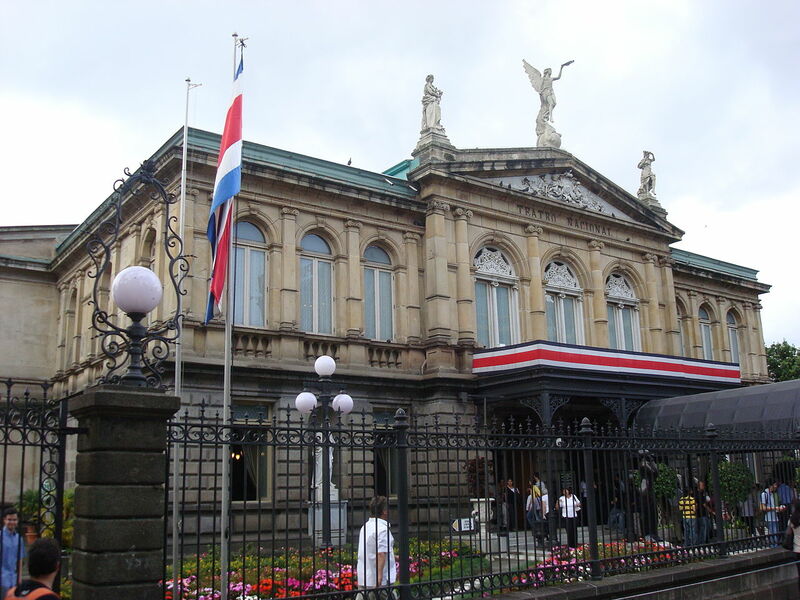 Costa Ricans speak Spanish, but English is widely spoken and understood in the main towns and hotels. The currency is the Costa Rican Colon with US dollars also accepted in most places.